Are you torn between your love for pets and hardwood floors? There’s no need to choose. Modern engineered hardwood Flooring industry has afforded pet owners the opportunity to get and keep their preferred flooring type – and without restricting pets to any one area of the home. This flooring type is often touted as an improved hybrid to solid hardwood flooring. However, engineered hardwood flooring is not recommended for homes with pets primarily because it dents and scratches – just like solid hardwood. Moreover, there is a limit to the number of times you can sand and refinish engineered hardwood flooring. 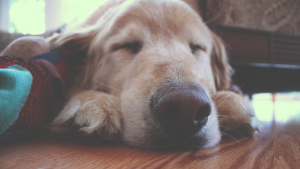 Tradition tells us that solid hardwood floors are a bad choice for homeowners with pets. The sharp nails on your pet’s paws cause scratches and nixes. There are some alternatives to consider, however. This article is dedicated to pet parents in Orlando, Winter Park & Windermere seeking the best hardwood flooring for dogs. Distressed Hardwood Flooring – As the name suggests, this style of hardwood flooring is intentionally texturized to achieve a distressed or weathered look. In the event scratches are made, these blemishes will blend seamlessly into the vintage or rustic design. High Grains – Harder woods that feature rich, strong, and hardy grains, such as Red Oak or Hickory, for example, hold up well to energetic pet dogs. Home flooring experts often advise against softer woods when pets are living in the home. 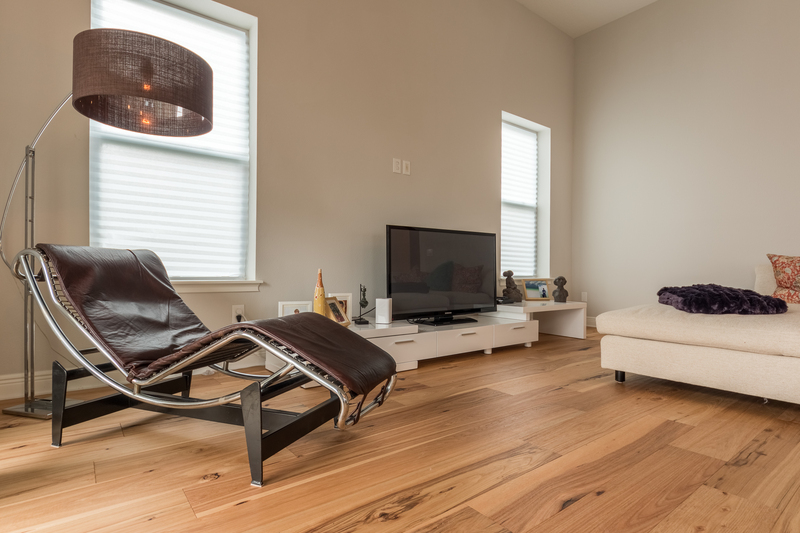 A few examples of softer wood flooring include bamboo, pine, or fir. 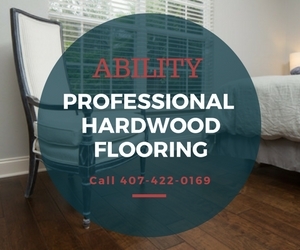 With Ability Wood Flooring, you can skip the extensive research and head straight to the source by speaking with our flooring experts in our Orlando-based boutique. Imitation Hardwoods – Other promising alternatives are wood look-a-likes. These are laminates or ceramics featuring a top layer resembling wood. With the right brand, it’s hard to tell the difference between solid hardwoods and these synthetic hybrids. Add an Extra Layer of Security – The next time you refinish your hardwood floors, add an oil-based polyurethane to the surface. Keep Pet Nails Trimmed at All Times – One of the best ways to protect your hardwood floors is to file or clip your dog’s nails routinely. Ability Wood Flooring is happy to help pet lovers in our area find a middle ground between keeping pets happy and style alive. We have an extensive selection of hardwood flooring in various styles, shapes, and sizes. Custom requests are also accepted.